With a name like Totally Accurate Battle Simulator, you either know exactly what you’re getting or will have the biggest surprise of your life. If the name of this game sounds familiar, you may have heard of Totally Accurate Battle Royale. They are both made by Landfall Games and are parodies of games developed by humans. That description might confuse, but check out a trailer for either games and you might see what I mean. Battle simulators are often used to test ridiculous scenarios, but Totally Accurate Battle Simulator kicks it up a notch. Beast Battle Simulator may have a Tyrannosaurus Rex, Ultimate Epic Battle Simulator may have zombies, but I guarantee you they do not have a fully manned Viking Longboat carried by two Vikings on land. They might even have mammoths, but those mammoths do not have googly eyes. This is but a taste of the silliness Totally Accurate Battle Simulator has to offer. It knows what it is and goes full tilt crazy with it, unapologetically. This game also boasts a single-player campaign. I would pay money just to see what that would be like. Totally Accurate Battle Simulator hit Steam’s Early Access on April 1st. The release date is kind of suiting for this game. While the game is not a joke or a trolling, it is jokey. It currently costs $17.49 on Steam. Check it out. 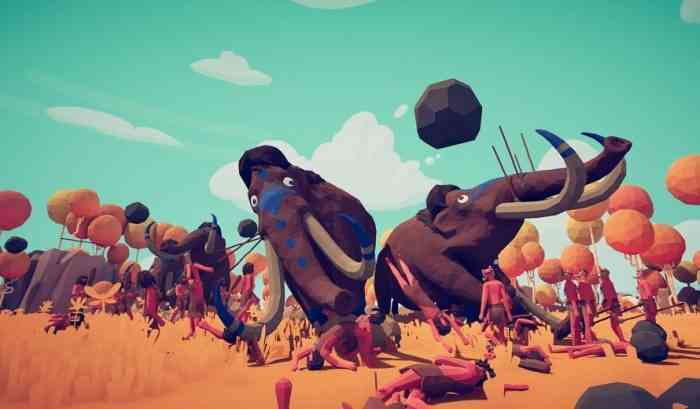 How does Totally Accurate Battle Simulator look to you? Let us know in the comments below.